Central Backpackers v Oxford, Anglie: Zarezervujte nyní! Fancy staying at one of Europe's top hostels since 2007 as well as TNT magazine's top hostels not only in the UK but in Europe as well?! Then Central Backpackers is for you! Located in the heart of the city, there is no need to use transportation, plenty of popular attractions, bars and and shops right on the doorstep! We are an Australian and Canadian independently owned and operated backpackers hostel. The rest of our friendly staff are fellow backpackers from all over the world, perfect for advice on future travels and experiences! We provide a relaxed, friendly atmosphere to make your stay more personal and memorable. People of all nationalities are welcome. We have something for everyone! * FREE tea/coffee all day in our self-catered, fully equipped kitchen! * Cosy TV room with satellite TV and hundreds of movies 24hrs! * FREE entry to clubs, bars and pubs nearby! * Door code for front door - No lockout or curfew! * No hidden membership fees! * If you are a group of 5 or more people, you MUST book directly with the hostel - email us at oxford@centralbackpackers.co.uk and we will be happy to assist! Payment can still be made in CASH on check-in. A ‘pre-authorisation’ is not a charge. The hotel is NOT charging your credit card. A pre-authorisation is a security guarantee for payment only. The way it works is that a pre-authorisation request is made by the hotel’s card terminal to the card holders’ bank, your bank/credit card company authorises the funds and sends an authorisation code to the hotel. This confirms the availability of the requested funds in the card holder’s account to cover charges in the hotel (if any). 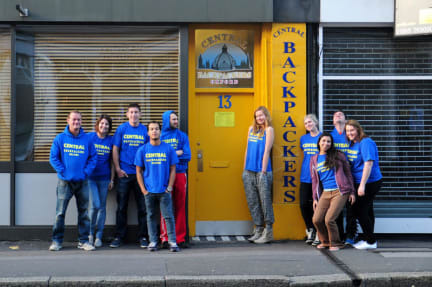 Want to become part of the Central Backpackers family? We offer a weekly long-term rate dependent upon availability at the time of arrival. Simply book a few nights with us online and we can talk about it when you arrive! We require 48 hours notice for any cancellations otherwise you will be charged for the first two nights or in the result of non-arrival, the total cost of booking will be levied to your credit card. If your booking is for 5 or more NIGHTS 72 hours notice is required otherwise the entire amount of your booking is charged. Please note this Hostel doesn't accept group bookings unless the manager has been contacted first. 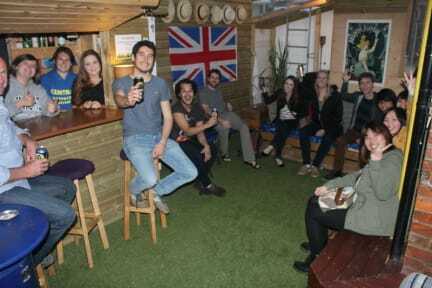 Located on the lively Park End Street in the centre of Oxfords historical university city, we are less than a 5 minute walk from the bus and train station, Oxford's Castle, museums and tourist attractions as well as some amazing restaurants, bars, pubs and clubs with discounts for all Central Backpackers guests! Please note our building is over 100 years old with no elevator/lift. For mobility limited guests there are 44 steps from ground floor to accommodation level. Please contact hostel if unsure. Both the bus and train stations are only a few minutes' walk away and services run every 10-15 minutes!